Not far from Lausanne is Ouchy, and it is not painful at all. 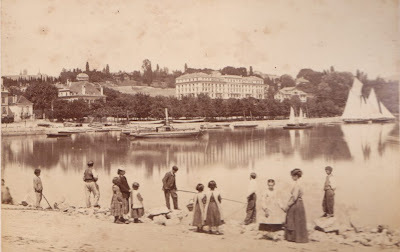 When this picture was taken in or around 1888 Ouchy was predominantly a fishing port although tourism was taking off. Nowadays it is prodominantly a Swiss lakeside resort, with many waterfront cafés, but fishing has not tailed off completely.